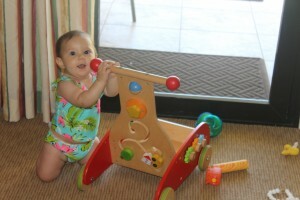 On our recent trip to Hawaii we discovered the BEST wood toy, the Hape wonder walker. 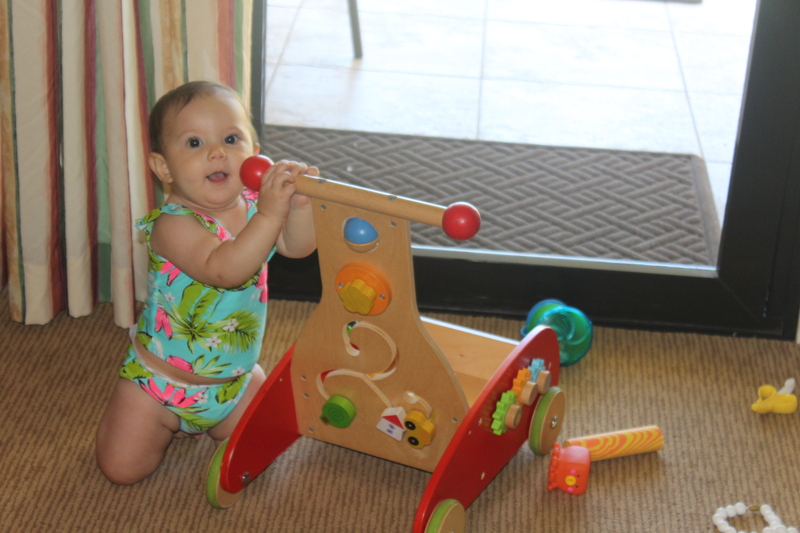 When we checked into our condo the concierge asked if we would like to have some toys to use while there, this walker was one of them. Let me tell you it was so popular with our daughter, who is learning to walk, I was prepared to offer her money to keep it! 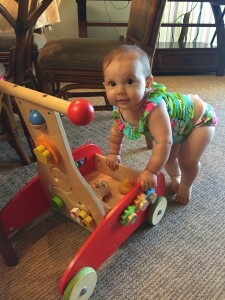 Not only is it a multifunction wood toy, as something to push and pull with lots of moving parts, but she loved sitting/standing in it as well. 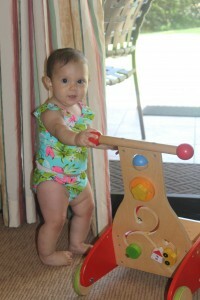 As a beginner in walking this was a hit to try out some steps. We were prepared to either offer her money for this one or buy it off Amazon.com as it had to come home with us. Long story short and major score, the concierge gave it to us for FREE even after we offered to give her a donation. Talk about one heck of a souvenir! To say the least, for a baby starting to walk, this is a must! The quality and craftsmanship is unparalleled. In addition check out the other wood toys by this European brand- they are FANTASTIC! 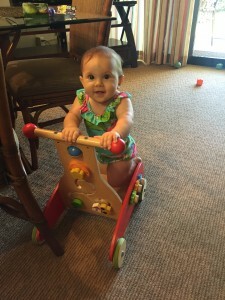 We can’t wait to purchase more toys from this company and so happy we discovered it.